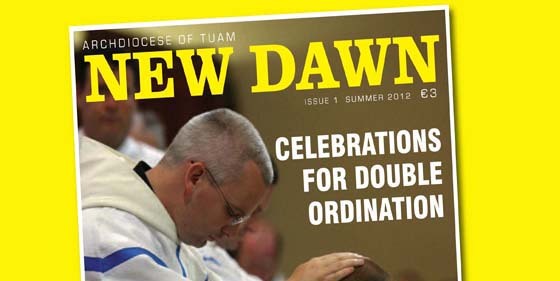 A new diocesan magazine ‘New Dawn’ will be launched by Archbishop Michael Neary on Thursday, June 21st in the McWilliam Park Hotel, Claremorris at 7.30 pm. All are welcome to attend.  The magazine is the initiative of the Diocesan Pastoral Council. 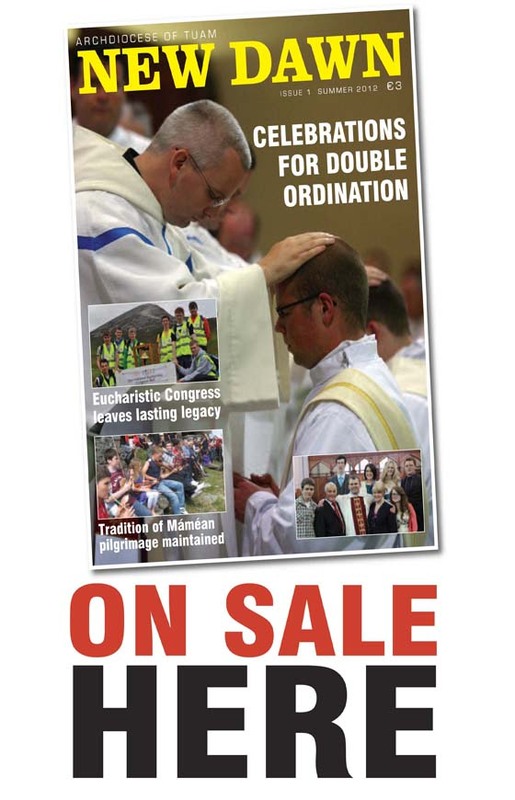 The magazine will have features on events that are happening throughout the Church and Archdiocese, along with views and opinions of readers on matters of faith, spirituality and many pastoral issues. It is hoped to publish it on a quarterly basis. Cost is €3. Media West coordinated the production and design. The next edition of New Dawn will be published in the Autumn. The closing date for submission of articles and advertising is August 31st 2012.